Many gamers who have installed and are playing Assassin’s creed Origins on their computer machines have reported extremely high CPU utilization. Assassin’s Creed games are always CPU intensive. There is so much AI roaming around the world that it is almost impossible for developers of the game to keep CPU utilization percentage down. And sure enough, the game’s pre-release media coverage had made it clear that the game would require a lot of CPU power. That is true for almost all modern open world games. But as it turns out, pirating the game makes it even more resource hungry. That is according to Voksi. Voksi, who cracks games, informed TorrentFreak that the new Assassin’s Creed Origins game utilized so much CPU because of all the anti-piracy efforts. Voksi really thinks that the reason why the new Assassin’s Creed Origins game is consuming so much CPU power is that developers have tried to protect it with a lot of anti-piracy measures. There is little doubt that Denuvo seems to be in trouble. But that isn’t going to stop Ubisoft from ensuring that pirates can’t crack their game which would affect their revenue streams. 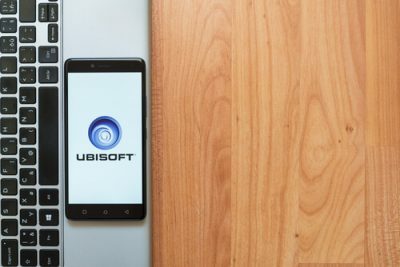 To follow up on that Ubisoft as introduced many reinforcements that, according to most media reports, are dragging down everything with it except for the most monstrous of computer machines. According to Voksi, Ubisoft is acting in an anti-consumer way. But that he means that he is disgusted by the measures that Ubisoft has taken to protect its product. We all know that pirates and law enforcement agencies have been at war for ages. Believe it or not but the gaming industry is not prone to the effects of the war. But this war isn’t just any war. You won’t see any battlefield, or soldiers or even blood. At least not in the real world. This war is taking place in the online world. We have side one which consists of all the gaming companies. Include anti-piracy outfits along with publishers in there too. And then we have the other side. This other side consists of players. Only people who have a ton of reasons for not paying for their games. They say they want to test their games. And only after that, they say, they would like to actually pay to buy their games. In other words, these people want to play all the games for free unless and until they love a game so much that they themselves want to pay for it. We will discuss this more later in the post but on the face of it, it sounds like a driver breaking all traffic rules and dodges the law until he/she feels so guilty that he/she himself/herself wants to pay the fine. Or maybe that isn’t such a great example. Forward to the groups who are waging this war. And war is what these groups want. Since the war is taking place in the online world, there are very few rules. All the groups in this battle are free. They can fight whichever way they like. And of course, no one is taking care of innocent victims. Victims who only get caught in the crossfire because they exist. Not because they would like to take sides. Or fight for that matter. There is little doubt that whoever pays for his/her game is actually a part of the solution. This is how we should consider the situation. If you pay for your game, you are good. And if you don’t pay for your game, you are bad. Let’s not jump to conclusions though. Assassin’s Creed Origin players are in outrage as the game is killing their CPU resources. Because there isn’t a clear solution and definitely no clear problem. What we know is that people who have paid for their games try to act like they are part of the solution. But without them knowing it, they can and are becoming collateral damage in this conflict which is increasingly becoming desperate. As we have mentioned before, many Assassin’s Creed Origins players have bought the new game on its first day of release. And from their complaints, we can only assume that they too have become the collateral damage in the war against and for piracy. This online war phenomenon is not going to go away. We’ll come to that a bit later as well. For now, let’s take a look at what some users have said on steam about the new Assassin’s Creed Origins high CPU usage. This user via Steam forums asked a simple question. The question was about the normal CPU usage for Assassin’s Creed Origins. Then the user went on to mention that he/she got between 60 % to 90 % CPU usage. And that he wanted to know if such a CPU percentage utilization was considered normal or not. This Steam individual also informed the forums that he had an i7 processor. Now, whether we are all gamers or not, we know that the i7 processor is anything but a slouch when it comes to handling processor-intensive tasks. But what about people who aren’t running Assassin’s Creed Origins with that powerful a CPU? People who have a little less oomph in them? Well, it is safe to say that they will have to face even worse CPU percentages. Another Steam gamer mentioned that he/she ran an i5 on his/her computer. And Assassin’s Creed Origins took CPU utilization percentage to a whopping 100 percent on each of the four cores of his/her processor. This steam user also mentioned that he/she had changed the graphics settings to low as well. But the new Assassin’s Creed Origins game would still consume the same amount of CPU resources. In other words, toning the graphics down did little to free up his/her CPU resources. According to another Steam user, it did not matter if the user had an i7 in his/her computer or an i5 CPU. This user also said that the quality of GPU also did not matter much. The user then mentioned that the performance issues associated with Assassin’s Creed Origins mainly consisted of CPU related issues. In other words, users had CPU’s reporting 100 percent usage at all times. As a result of the 100 percent usage, these users witnessed a significant drop in FPS. FPS, here, is short for Frames Per Second. Many users on the Steam forums reported a drop in FPS and consequently stuttering. Another user mentioned that he did not know of a solution or a workaround to the problem. So what is the cause of the problem then? Are these Steam users running machines which have bad configurations or what? Can we blame the game developers who may not have optimized the game’s code for PC? Is Ubisoft responsible for these high CPU percentages? Ubisoft has made use of several anti-piracy methods to make sure hackers stay away from its products. If you believe Voksi that is. Voksi belongs to the Revolt team. If you have paid any attention to the piracy industry, you would know their name. This the group that cracked the newly released Wolfenstein II: The New Colossus about a week before its commercial release. But as it turns out, none of the reasons that we have mentioned above are the cause of high CPU usage. The cause lies somewhere else. According to Voksi, the whole problem is a result of Ubisoft desperately using anti-piracy measures on all its products. That is the direct cause of the high CPU usage problem. Various media reports have revealed the fact that the once infamous Denuvo anti-piracy technology isn’t doing so well at the moment. In other words, pirates have given this technology a good beating. Cracking groups on the internet have dismantled Denuvo in a matter of a few days rather than weeks. Sometimes, these hackers have done the same to Denuvo within a few hours. Hence, that has made anti-piracy technologies such as Denuvo almost useless. Or maybe pointless is the more appropriate word. So what did Ubisoft do differently for Assassin’s Creed Origins? Well, of course, they figured out that protecting Assassin’s Creed Origins with Denuvo only would not work. Hackers would crack it within days if not hours. They doubled up with even more anti-piracy measures. Again, this is something that everybody has learned from Voksi. So if you don’t like Voksi, or simply believe he is a liar then you are free to form your own view and opinion about the high CPU situation. 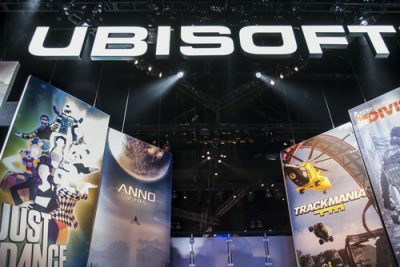 Voksi told TorrentFreak in an interview that basically Ubisoft had implemented a VMProtect technology on top of Deunvo. This tanked the new games’ (Assassin’s Creed Origins) performance by at least 30 to 40 percent. And hence it demanded people to come up with more expensive processors in order to play the game smoothly. In other words, the problem exists because of the DRM Ubisoft had used with Assassin Creed Origins. According to Voksi, Ubisoft actions represent a disgusting move. And most of all, it represented an anti-consumer agenda. How does Voksi know all this? Ubisoft wants this Assassins Creed game to bring in as much revenue as possible. 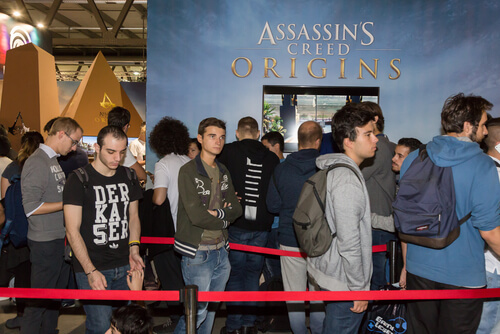 Voksi told TorrentFreak that he knew all about this stuff because he had an opportunity to review the game’s code after he had obtained the binaries for the new Assassin’s Creed Origins game. According to Voksi, here is how the new Assassin’s Creed Origins worked. Basically, you have Denuvo which sits underneath everything going about its business and doing what it is supposed to do. As mentioned before, Voksi believes that Denuvo had huge vulnerabilities to piracy. And since hackers had made some great advances in the field of anti-anti-anti piracy technologies they could get past it fairly easily. He also mentioned that Ubisoft went for the belt-and-braces approach. In other words, Ubisoft went with Denuvo AND with another anti-piracy technology by the name of VMProtect. VMProtect safeguarded Assassin’s Creed Origins right at the top. VMProtect is another piece of software application. This software application basically protects other software applications against techniques such as cracking and reverse engineering. Readers should understand that both technologies work in a different way. But both have the same aim. They want to protect the product that any company has paid to protect. In other words, Denuvo and VMProtect aim to accomplish the same thing. Both have the single focus of protecting underlying systems from hackers. That is, hackers who are trying to subvert them. VMProtect protects its code by executing the code on a virtual machine. This virtual machine has non-standard architecture. Hence, hackers find this non-standard architecture very difficult to analyze. And if they can’t analyze something easily, they can’t crack that piece of software application. Apart from that, VMPRotect also generates and verifies serial numbers. It also limited free upgrades. According to the company’s marketing material, VMProtect can do much more than what they had mentioned. At least that is the impression you would get if you have followed news related to both technologies for the past year or so. What we mean to say is that both these technologies and their producers don’t get along. Earlier this year we saw that they both had their differences. Later though they moved on by settling them. And because they made up for any misunderstanding that they had, they started to work together to stop hackers from cracking new software application products. To do that, they pooled their resources to try as hard as they could to solve the anti-piracy puzzle. Voksi also explained to TorrentFreak that it seems that Ubisoft made the decision that Denuvo did not provide enough protection to stop hackers in the first few crucial days of any of its game’s release date anymore. Hence they came up with a plan. This plan involved Ubisoft implementing not just Denuvo on their products but also an iteration of VMProtect over the same product. Voksi also told TorrentFreak that Ubisoft’s solution represented something great if someone wants to save his/her game from pirates and piracy. Because the layer of anti-piracy technology VMProtect would make Denuvo a bit more hard to actually trace. Consequently, hackers would also have problems in finding a working keygen for the game. All of that comes with a problem though. 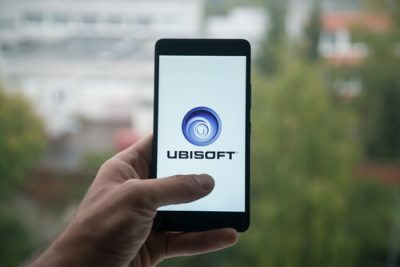 Voksi said that if someone has a legitimate customer, it wasn’t that great for the user since Ubisoft’s new combo could and probably would tank the user’s performance by a lot of margin. He also said that was especially true if the user was using a low to mid-range CPU. And according to Voksi, that was the reason why so many Steam users faced 100 percent CPU usage on all their 4 core CPUs while trying to play Assassin Creed Origins. Some users have reported that the situation is so bad that they are facing that dreaded blue screen or death or BSOD. Because their machines are hitting their overheat marks after only an hour of play time. Of course, we don’t have to take Voksi’s word for it. As of now, no one really knows that is causing all these crashes. And whether VMProtect and/or Denuvo are causing these problems. Some users, of course, will continue to perceive the problem as a result of anti-piracy measures. On the other hand, some might also believe that these protection measures don’t really cause any CPU utilization issues. We can’t really blame gaming companies for trying to protect their valued products. But it is also true that these gaming companies should make sure that they don’t punish paying customers with inferior gaming experiences just because of anti-piracy measures. There is one really great irony here. If and when hackers crack Assassin’s Creed Origins, pirates will actually get to play the new Assassin’s Creed Origins game smoothly. They wouldn’t have to worry about two anti-piracy measures bogging their systems down with high CPU usage.